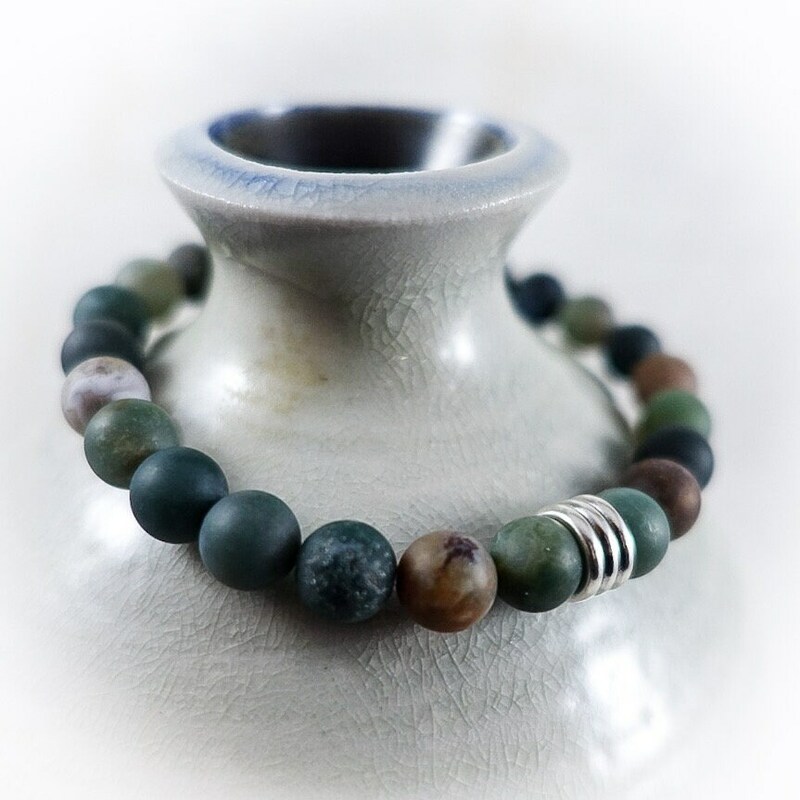 Matte, multicolored earth-toned beads are strung on elastic to make this the perfect, hassle-free men's bracelet. 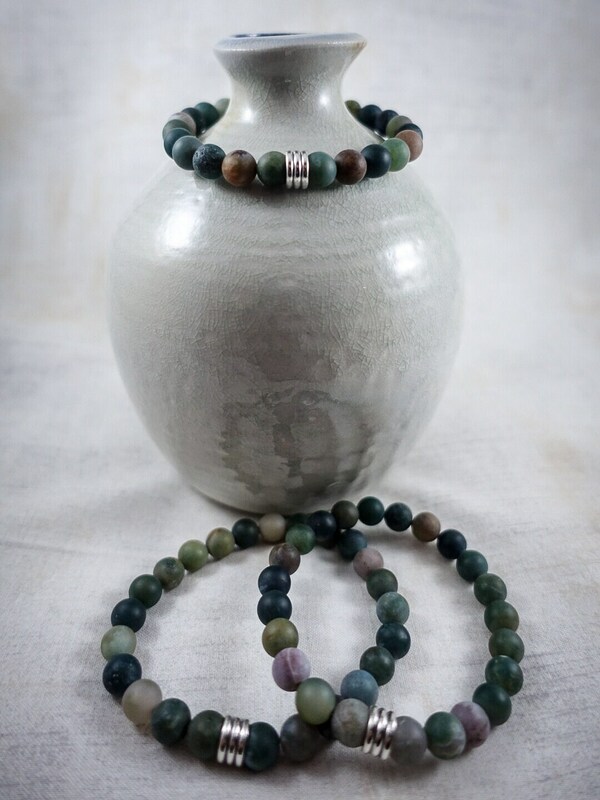 8 inches in length, this infinity style bracelet with elasticity allows for customary wear by stretching to fit around the hand, and wrist. 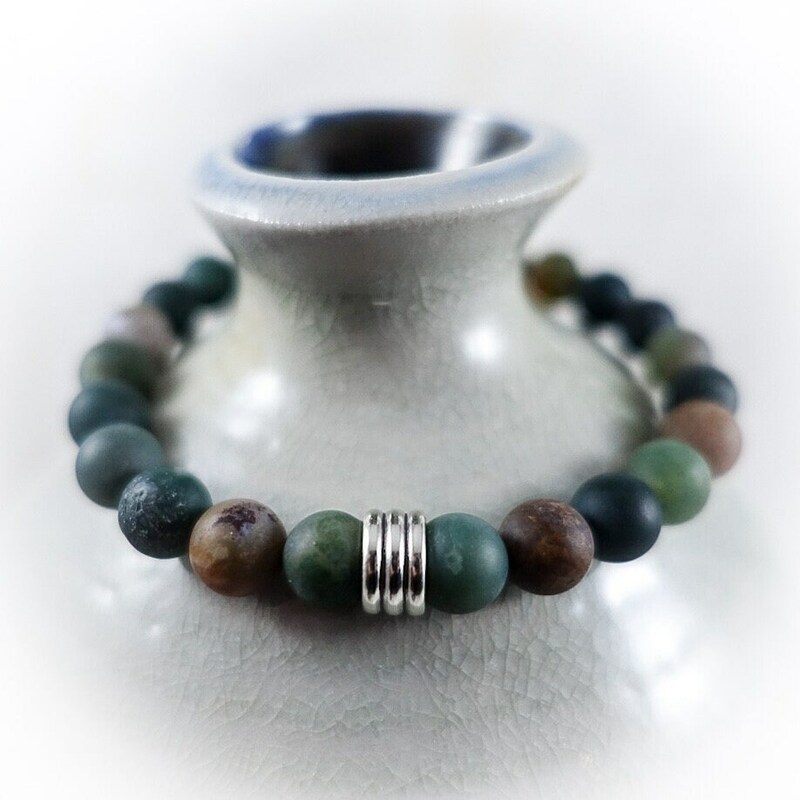 Priced at $44, featuring an oxidized sterling silver bead. *Size can be adjusted by request.